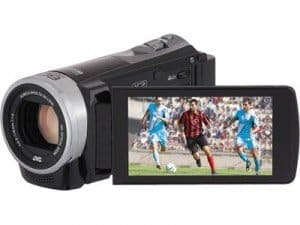 The JVC Everio EX300 Series of HD video recorders are among the most famous camcorder choices in today’s market. It’s really easy to discern why. JVC Everio GZ- EX355 has remained on high ranks mainly because of its easy-to-use features, excellent battery life and friendly design. It goes beyond satisfying basic recording needs as it further packs extras for user convenience. 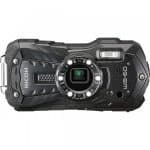 This HD camcorder features video recording at 1080p and in full HD. It has an optical zoom at 40x magnification and a digital zoom at 200x. 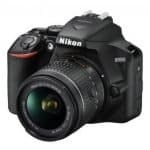 The only downside to its superior zooming capacities however is that further extending the zoom beyond 55x will cause deterioration in the video quality. Still shot resolution of the GZ-EX355 is at 8MP which equals most of today’s digital cameras available. 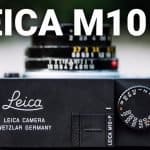 It also comes with a 2MP CMOS backlit sensor, meaning it can still take stunning videos amidst dimly lit rooms, sunset, after dark and other low-lighting cditions. The GZ-EX355 comes with a 16GB integrated memory. You really need not spend extra for a separate memory card unless you really have a need for one. This camcorder has a couple more convenient features that you can play around with. Perhaps, the best is its built-in Wi-Fi. Yes, with this model, it’s now easier to upload your photos and videos to Youtube or Facebook! No need to plug your camcorder into your computer. Enjoy live streaming videos to your device as well! Simply download Everio Sync app and start streaming! One of the main benefits the GZ-EX355 offers is its 65-minute recording time battery life. This is actually where it is better than the rest of the camcorders out in today’s market. Plus, this model doesn’t come too bulky. It weighs half one pound, making it extremely portable, perfect for outdoor activities. 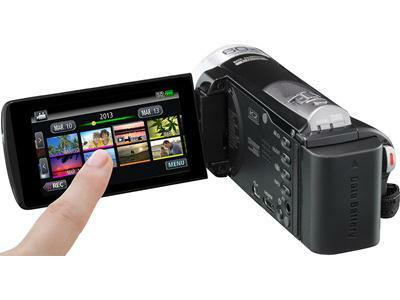 The JVC Everio GZ-EX355 is an amazing combination of good video quality and useful extra features. There aren’t a lot of camcorders out there that can equal its long recording time and battery life. It has also been designed to be lightweight and is very convenient to bring along wherever you may want to go.